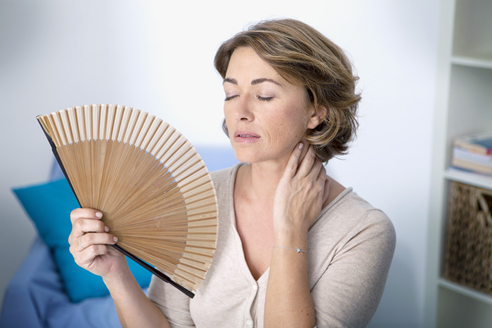 Menopause is a rite of passage for most women as they leave their reproductive years behind and look to the future. Unfortunately, like most hormonal and reproductive changes, menopause is not always a joyful process but instead can be emotionally, physically, and mentally taxing. Advanced Hormone Solutions aims to assist women in this transition as peacefully as possible through the use of natural bio-identical hormone replacement therapy. When a woman goes through menopause, she essentially loses the capability to produce estradiol, testosterone, and progesterone, thus causing the endocrine system to become imbalanced. By using hormone replacement therapy, we are able to replace these hormonal losses and bring the body back into a happy equilibrium. All of these hormones work together, therefore it is vital that all three be replaced in order to achieve hormonal balance. Progesterone is one of the most vital hormones in a woman’s body as it is used to protect a woman’s uterus in the presence of estradiol. This hormone can increase deep sleep, promote bone formation, and increase bone density. When taking natural progesterone in addition to estradiol and testosterone, women are able to combat the negative effects of estrogen dominance, moderate androgens, and regulate the body’s salt and water tolerances, therefore decreasing bloating and other dehydration. Not all progesterone is created equal. When using progesterone, it is vital to use natural progesterone that, according to a scientific article published in 2005, does not increase the risk of breast cancer and can, in fact, have a protective effect. Alternatively, research has shown using synthetic progesterone in conjunction with hormone therapy can increase the risk of breast cancer. For more information on hormone replacement therapy or to find out how Advanced Hormone Solutions can help ease your menopause symptoms today, call us at 201-225-2525.